Many facilities rely on old methods such as ladders and roof rakes to clear snow from their trucks that are inherently unsafe and labor intensive. 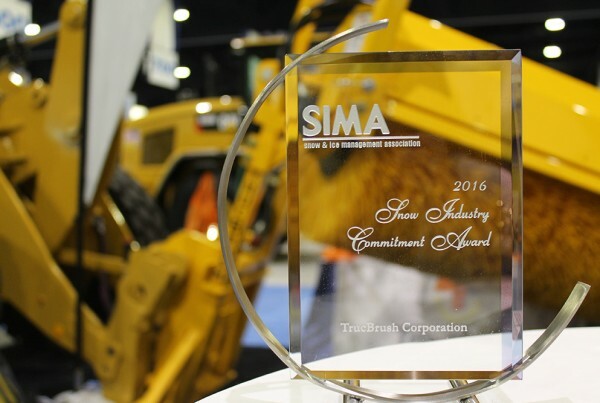 TrucBrush eliminates that risk and improves operational efficiencies. Become an approved TrucBrush® vendor and include the TrucBrush® service to your clients as part of your snow management services or facility maintenance program. TrucBrush is a mobile solution that provides trucking companies with a fast, safe and efficient solution to removing accumulated snow from the tops of their fleets. Find valuable industry research, articles of interest and links as it relates to the one of the trucking industry’s greatest winter related issues, the removal of snow and ice from the tops of vehicles. Watch Trucbrush in Action. TrucBrush’s specifically engineered, patent pending design for optimal clearing coverage eliminates the need for any personnel to be on or near a truck’s rooftop for clearing of snow and ice and it decreases the potential for damage and personal injury to other motorists during transit. TrucBrush® offers a mobile method for clearing snow and ice from vehicle rooftops and it does not require a permanent infrastructure for operation. After snow clearing TrucBrush is easily moved from the facility freeing up valuable facility yard space. 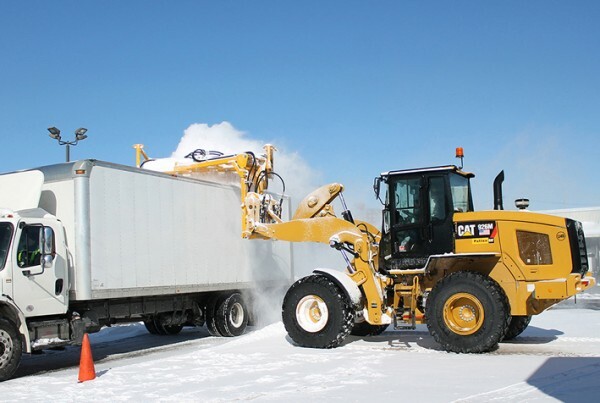 The TrucBrush® method provides substantial operational savings to facilities, logistic firms and motor carriers over current methods for clearing snow and ice accumulation; it eliminates the need to rely on employees to clear the snow from the fleet’s rooftops and it does not require additional facility infrastructure to operate effectively. 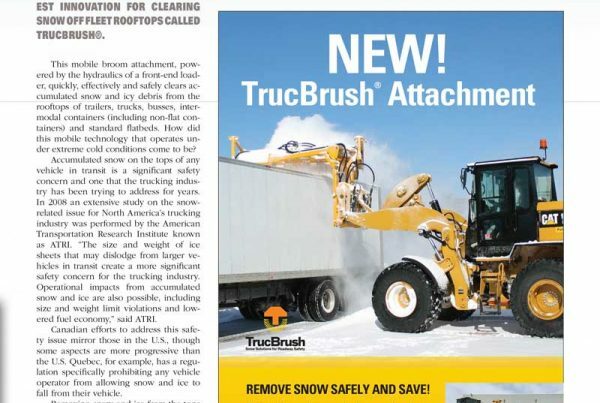 "TrucBrush is the answer to one of the industry's greatest concerns, SAFETY, both for employees who must clear accumulated snow and ice from the tops of their trucks and the general public's roadway safety. 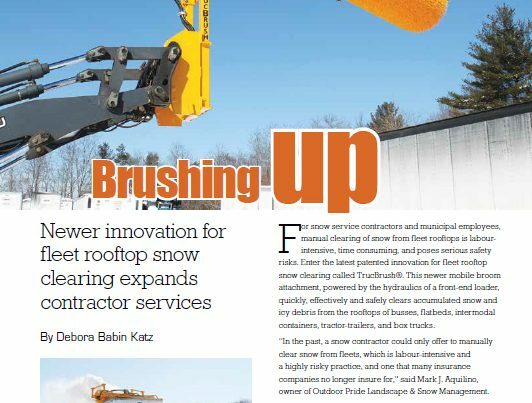 TrucBrush is easy to operate, incredibly mobile and quickly and effectively removes snow from the truck's rooftop." "The Trucbrush has been a pivotal component to our fleet when dealing with a New England Winter. The savings we have gained from not losing down time has made this investment well worth it. It’s quick, easy and very effective. Before we used to get up on the trailer ourselves and waste countless hours shoveling the snow off. "I've worked on the issue of accumulated snow on trucks and trailers in transit for twenty years. TrucBrush is a really innovative approach and one answer to what the trucking industry has been looking for to address the concern. "I can’t say enough about your team and what a pleasure it was working with the professionals at TrucBrush on the purchase for our bus terminal. Not to mention your customer service where you guys follow up after the sale to make sure everything is working to our satisfaction! "